RALEIGH, NC – Jim Rutherford, President and General Manager of the National Hockey League’s Carolina Hurricanes, today announced that Dave Lewis and Rod Brind’Amour have each been named to the team’s coaching staff for the 2011-12 season. In addition, Rutherford announced that Ron Francis has been named director of hockey operations and Tom Rowe has been added to the team’s pro scouting department. Lewis, 57, has been named assistant coach for the Hurricanes. 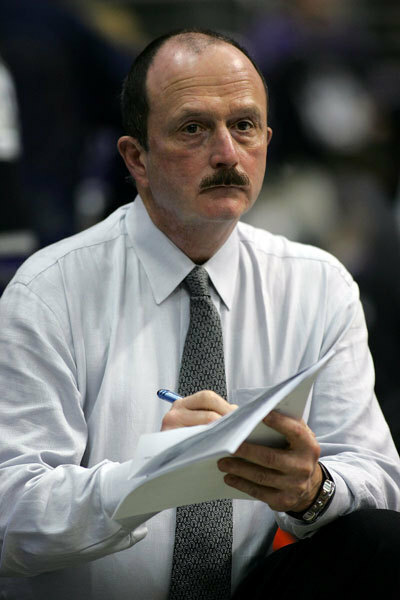 He served as head coach of the Detroit Red Wings from 2002-04 and head coach of the Boston Bruins from 2006-07, compiling an NHL career coaching record of 135-83-33 (includes five games as co-coach with Detroit in 1998-99). 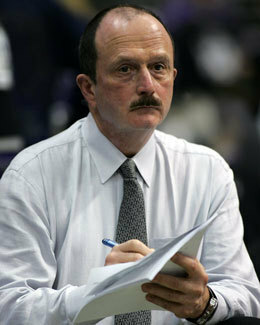 Lewis’ most recent NHL coaching position was with the Los Angeles Kings, where he served as an assistant coach in 2007-08. He played 15 NHL seasons between 1973 and 1988, totaling 36 goals and 187 assists (223 points) in 1,008 games as a defenseman with the New York Islanders, Los Angeles Kings, New Jersey Devils and Detroit Red Wings. Brind’Amour’s new role with the Hurricanes is as assistant coach and development coach. He had served as the Hurricanes’ director of forwards development in 2010-11 after retiring from his playing career on June 30, 2010, and will continue to work with Carolina’s prospects in his role as development coach. As director of forwards development, he was responsible for all forwards in the Hurricanes system, including drafted players in the Canadian major-junior hockey leagues, ECHL and American Hockey League (AHL). Brind’Amour, 40, completed his playing career ranked 16th in NHL history in games played (1,484), 44th in assists (732), 46th in points (1,184) and 54th in goals (452), in 21 seasons with St. Louis, Philadelphia and Carolina. He won back-to-back Frank J. Selke trophies as the NHL’s top defensive forward in 2005-06 and 2006-07 as a member of the Hurricanes, and captained Carolina to the 2006 Stanley Cup championship. The Hurricanes retired his No. 17 jersey on Feb. 18, 2011. As director of hockey operations, Francis will work directly with Rutherford on all hockey-related matters. Francis, 48, had served as associate head coach for the Hurricanes since Dec. 3, 2008, while also working as director of player personnel for the organization. Prior to going behind the bench, Francis worked for the team as director of player development and as assistant general manager. Francis retired from a 23-year NHL playing career in 2005. He totaled 549 goals and 1,249 assists (1,798 points) in 1,731 career games, and ranks fourth all-time on the league’s points list behind Wayne Gretzky, Mark Messier and Gordie Howe. His 1,249 assists ranks second to only Gretzky, and he ranks third all-time in games played. The Hurricanes retired Francis’ No. 10 jersey on Jan. 28, 2006, and he was inducted into the Hockey Hall of Fame on Nov. 12, 2007. Rowe, 55, will work as a pro scout, assisting Director of Professional Scouting Marshall Johnston. He recently completed his third season as an assistant coach for the Hurricanes. Prior to joining Carolina’s coaching staff, he spent the previous four seasons serving as head coach and general manager for the team’s top minor-league affiliates, compiling a career record of 156-130-14-20 in 320 games as a head coach in the American Hockey League (AHL). Rowe also has experience as an assistant coach on the AHL level, a pro scout and as assistant general manager for the Hartford Whalers. Rowe played eight seasons of professional hockey in the NHL and AHL, totaling 85 goals and 100 assists (185 points) in 357 NHL contests with Washington, Hartford and Detroit.